The side panels are constructed from 2 x 4s and trimmed with 1 x 4s on the outside. 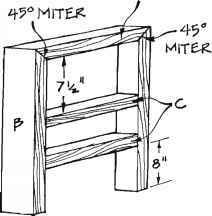 From the 2x4 treated lumber, cut one 21-inch-long armrest (A), two legs (B), each 25 inches long, and two side supports (C), each 18 inches long. With the armrest (A) standing on edge, miter both ends at a 45-degree angle as shown in Figure 1. In the same manner, miter one end of both legs (B) at a 45-degree angle. 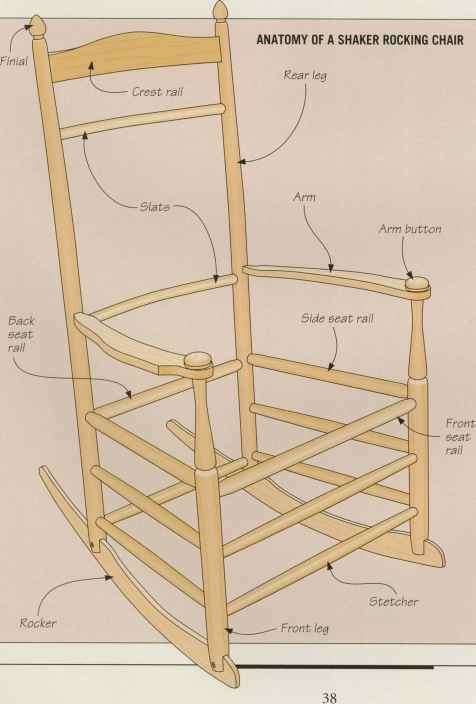 Attach the armrest (A) to the two legs (B) and two side supports (C) to form the side assembly illustrated in Figure 1. Note that the lower side support (C) is positioned 8 inches from the bottom of the legs (B), and the upper side support is positioned 7-1/2 inches from the lower edge of the armrest (A). Screw the pieces together using two 3-1/2-inch-long screws to secure each joint. Repeat Steps 1 through 4 to make the second side. 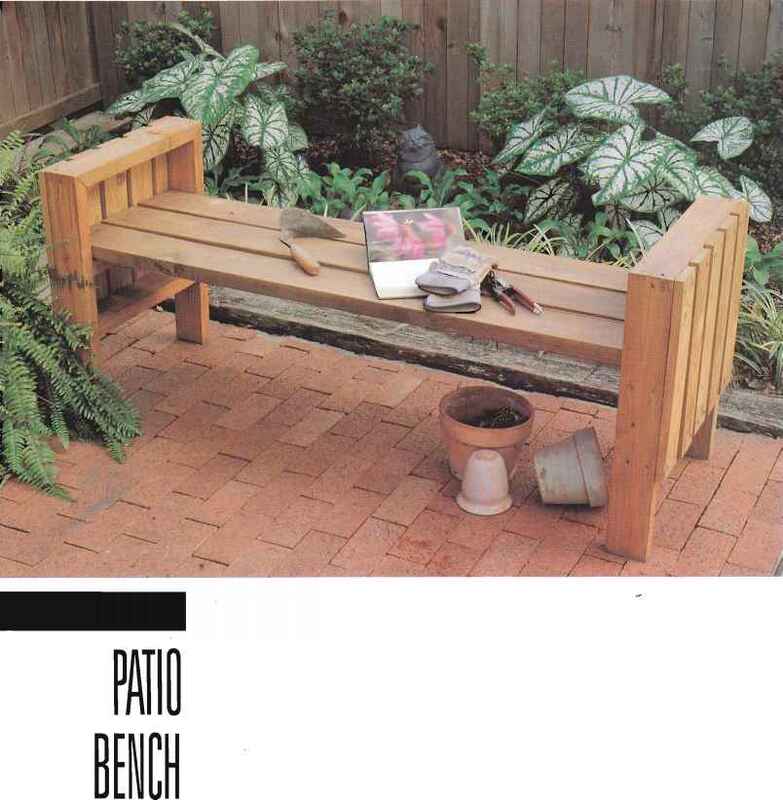 This patio bench provides seating for three people-or for four dearest and closest friends-yet it doesn't take up much space on your deck or patio. It is relatively inexpensive to make, and the construction is a soap. 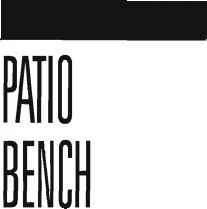 The finished bench dimensions are 67 inches wide and 21 inches deep.